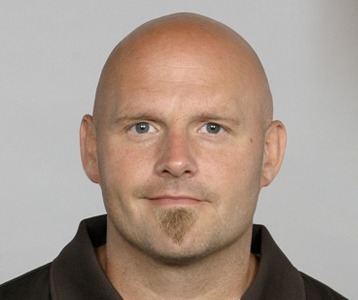 It didn’t take long for the Chiefs to find their new offensive coordinator, as the team has hired 36-year-old Brian Daboll for the position. Daboll spent last season as the Dolphins after two seasons as the offensive coordinator on Eric Mangini’s staff with the Browns. Miami ranked 22nd in total offense, 20th in scoring offense in 2011, were 26th on third down and ranked 32nd in sacks allowed per passing attempt. The Browns’ offense ranked 32nd and 29th in total offense and 29th and 31st in scoring offense during Daboll’s two seasons in Cleveland. Daboll coached quarterbacks under Mangini with the New York Jets (2007-08) after coaching alongside with Mangini with the New England Patriots from 2000-05. Daboll has some familiarity with Chiefs starting quarterback Matt Cassel, who was a backup during Daboll’s final two seasons in New England. Former Chiefs offensive coordinator Al Saunders and current Chiefs quarterbacks coach Jim Zorn were also candidates for the position. The Chiefs denied the Chicago Bears’ request to interview Zorn for their quarterbacks coach/passing game coordinator. With the Chiefs choosing another branch of the Bill Belichick coaching tree for the coordinator position, it’s possible that Zorn pushes for his exit from the franchise.